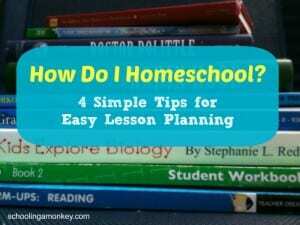 So, you’ve decided what type of homeschooling curriculum is right for you and chosen what you want to do for the year. Depending on what curriculum you chose, you may have to come up with your own lesson plans, or the curriculum may have included lesson plans for you. However, before you get into lesson planning, there are a few things you should know. It is OK if you don’t do everything in the lesson plan. It is OK if you decide that a particular subject is too much for you this year. There is nothing wrong with changing curriculum mid-way through the year, or even after a week of use. You don’t have to feel committed to something that is not a good fit for you. Lesson planning is not my strong suit. In fact, last year, the only lesson planning I did was to determine which days got which subject, and how many lessons Monkey would have to do each month to make sure she finished her math by the end of the year. I know a lot of other people get much more involved with lesson planning. That is fine if you have the time, but I think it is important for homeschooling newbies to realize that you don’t have to get that complicated. Sitting down and looking at the book for the first time each day is usually good enough for many subjects. Be that as it may, I still have a few tips for lesson planning. What do you hope to accomplish this school year? What are you willing to set aside to make that goal happen? For first grade, math and reading were my two most important subjects for Monkey. Every school day we did one lesson of each. The other subjects we did when we could. Do you have 8 hours a day to devote to schooling? Awesome! You’ll be able to do a lot more in a day. I have, at most, about 3 hours a day for school. Everything we do in a day has to fit in that three-hour window. This means that although it would be fun to plan a field trip for each day of the week, we simply cannot do it. This makes our lesson plans much simpler. However simple or complicated your lesson plans are, you do not have to feel tied to them each day. If you skip a day you didn’t intend to, it really isn’t the end of the world. You can make up for it later. Of course, some states do require more detailed lesson plans than others. Make sure you follow all legal requirements for your state. It is very unlikely that your lesson plans, however simple or detailed, will be the determining factor of whether or not your child gets a scholarship in college. As long as they are getting the work done somehow, lesson plans are not that important. What is your favorite way to plan lessons? 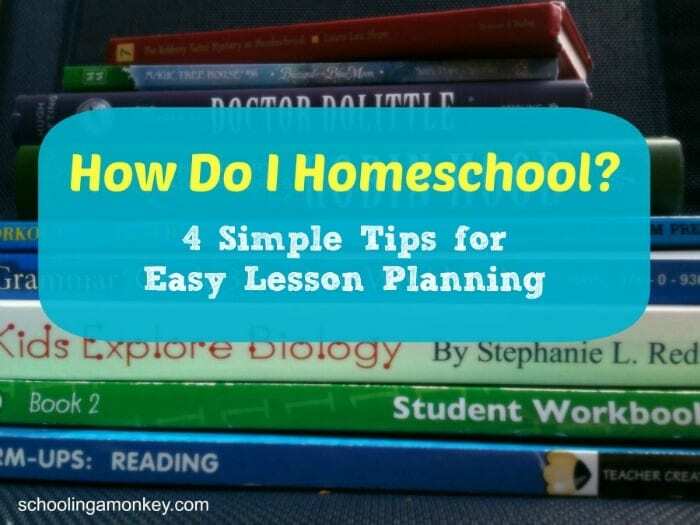 Any tips from veteran homeschoolers who use detailed lesson plans?